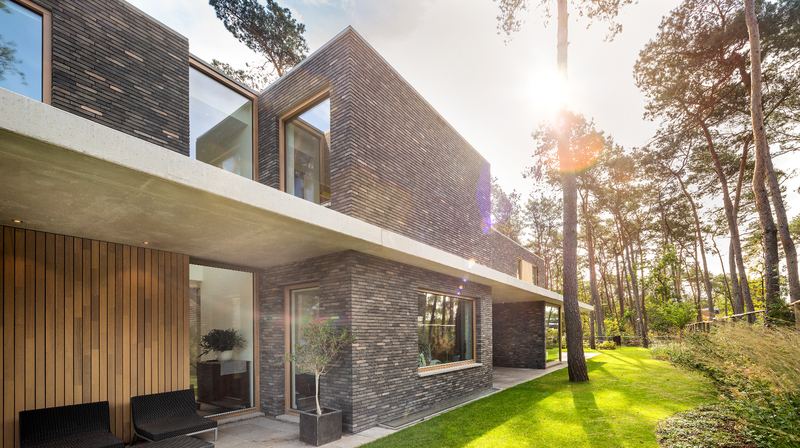 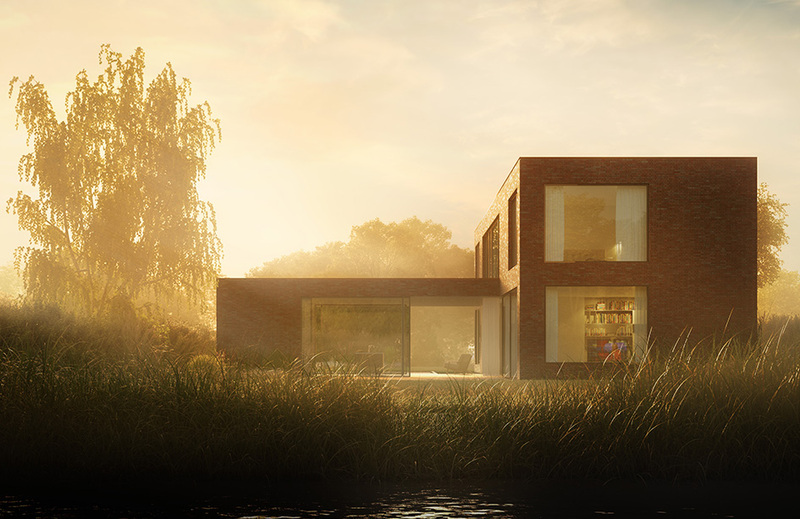 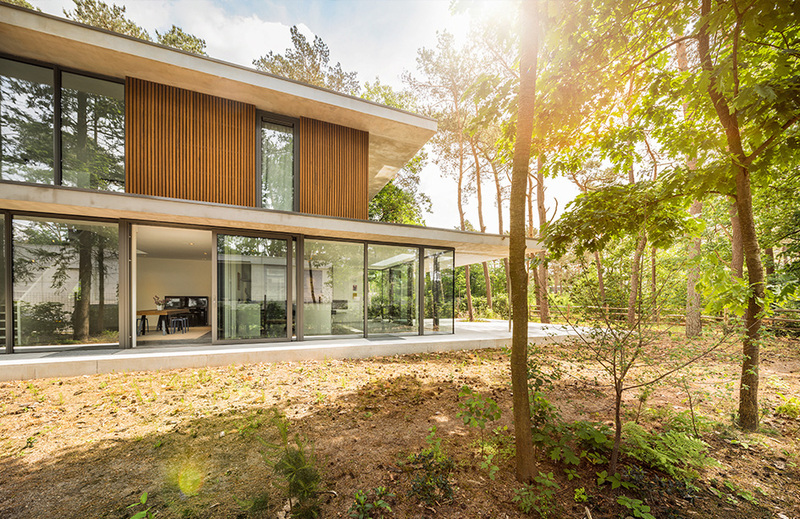 Situated in the pine woods, Villa Zeist 2 adds a strong horizontal line to the vertical nature of its surroundings. 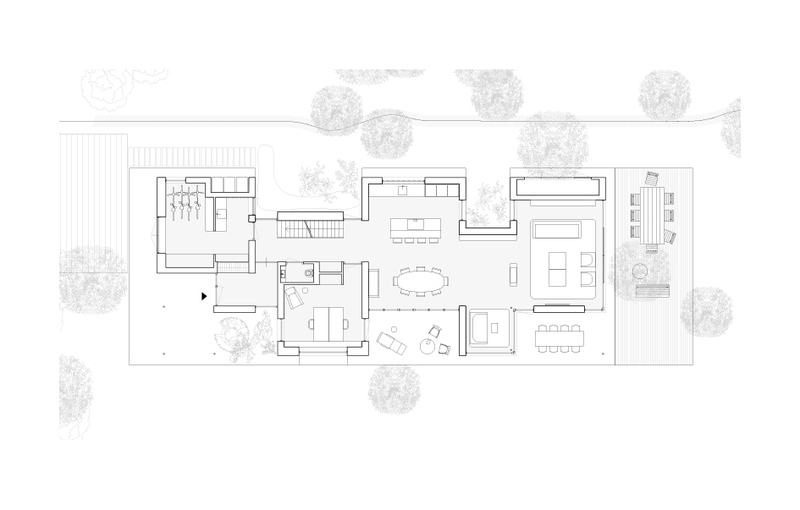 A concrete canopy connects the different brick volumes of the villa, which reflect the wishes of the family. 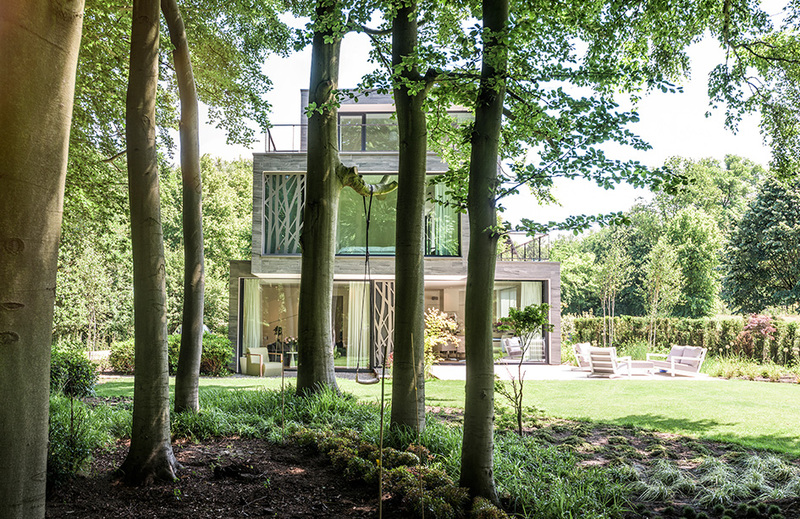 Their house is conceived as a series of interconnected rooms which provide intimacy and offer views to the woods and the sky. 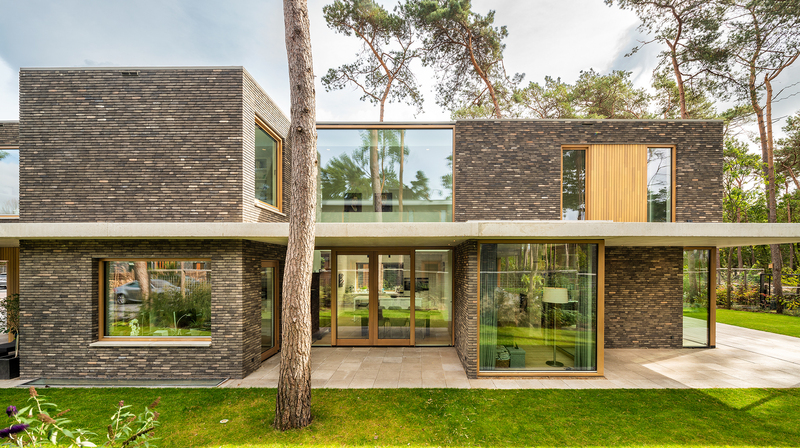 The general scheme of Villa Zeist 2 combines the family’s wish for privacy with the possibilities and restrictions of the elongated plot. 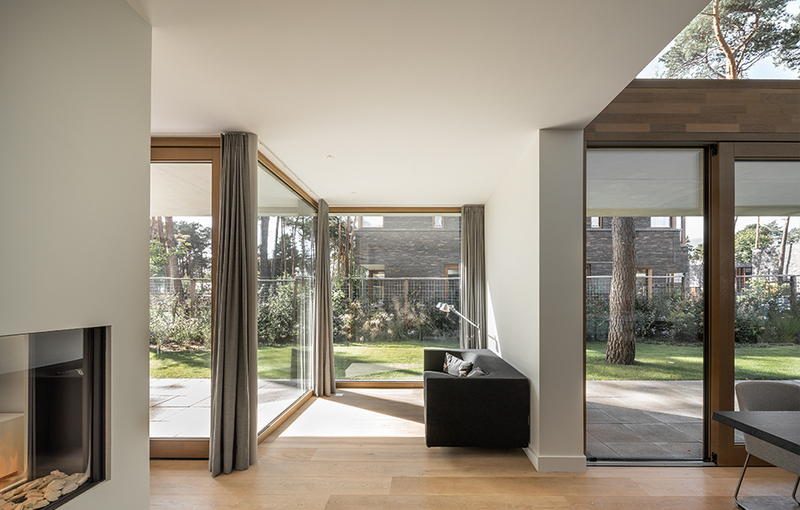 Instead of a stretched bar, the villa is built up of linked volumes of different sizes which create a series of pockets. 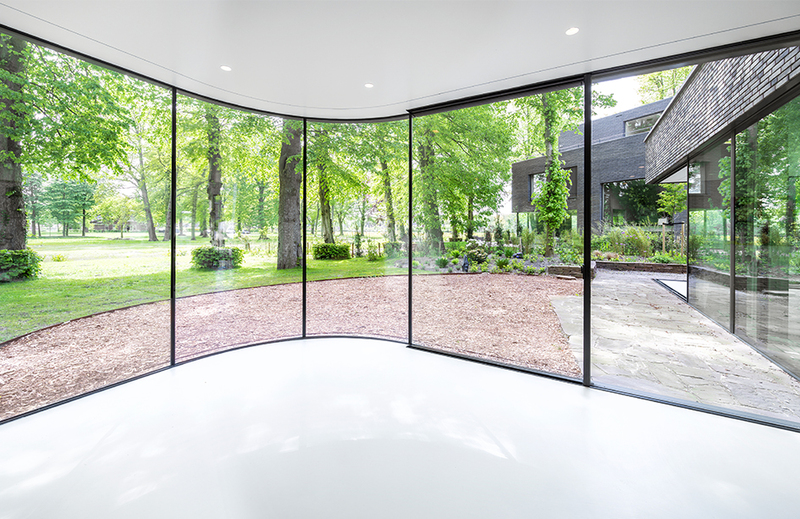 These semi-enclosed outside spaces soften the relationship between the interior and exterior. 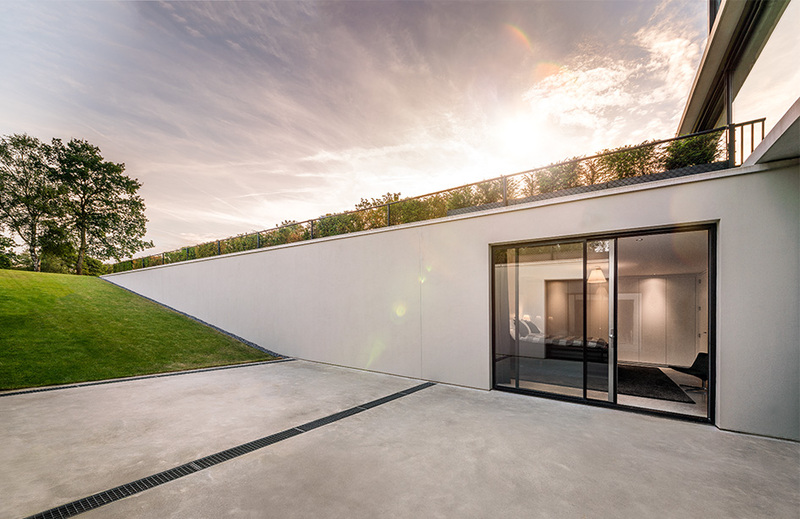 Occasionally covered by the concrete canopy, they offer protected places to be and enjoy the different perspectives of the landscape. 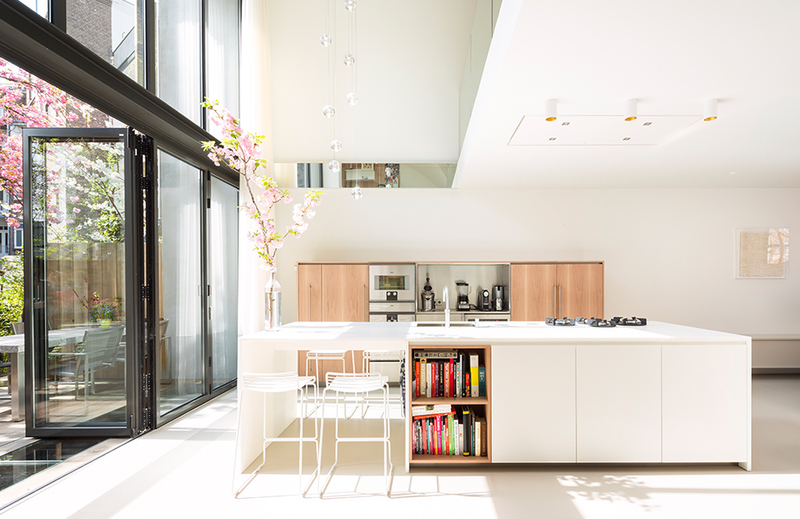 In the interior, these pockets strongly enhance the richness of the spaces within the volumes. 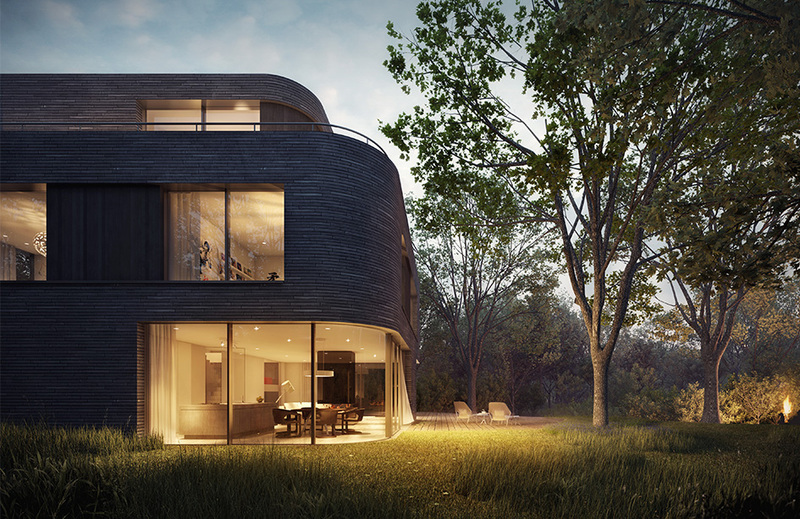 They serve the client’s wish for privacy twofold. 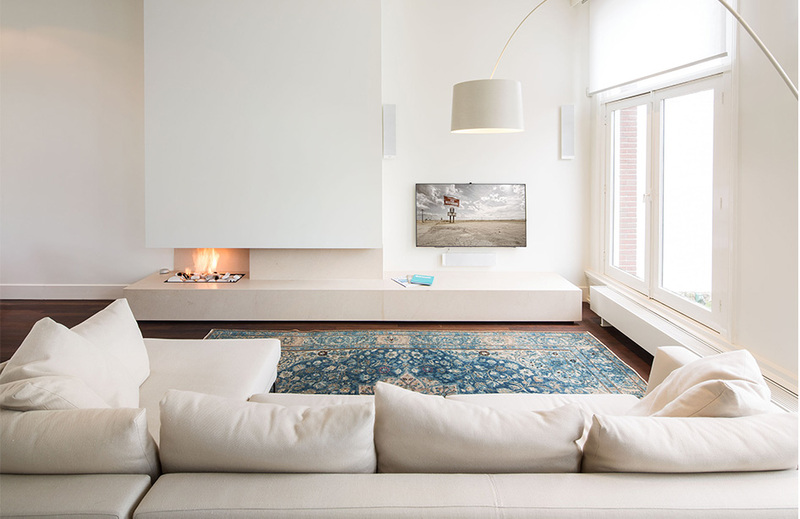 On the one hand, the shaped distance between the separate volumes provides intimacy to the rooms. 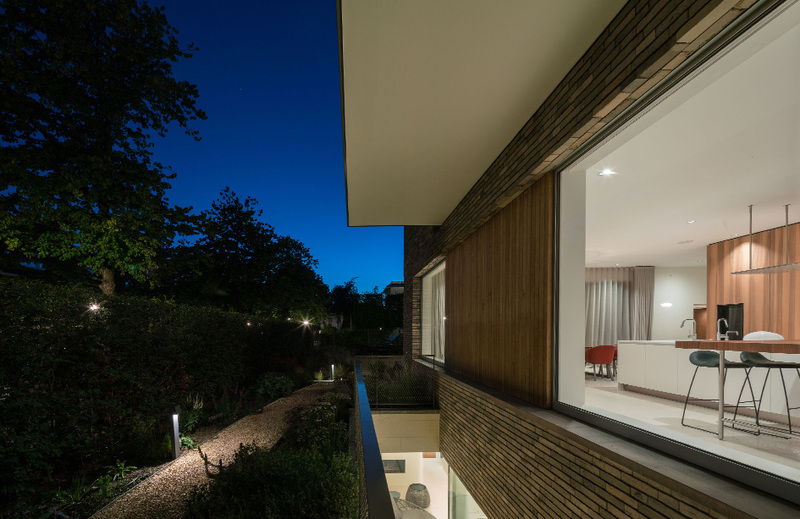 On the other hand, the pockets allow to open the volumes in multiple directions to reduce the number of windows facing the direct neighbours. 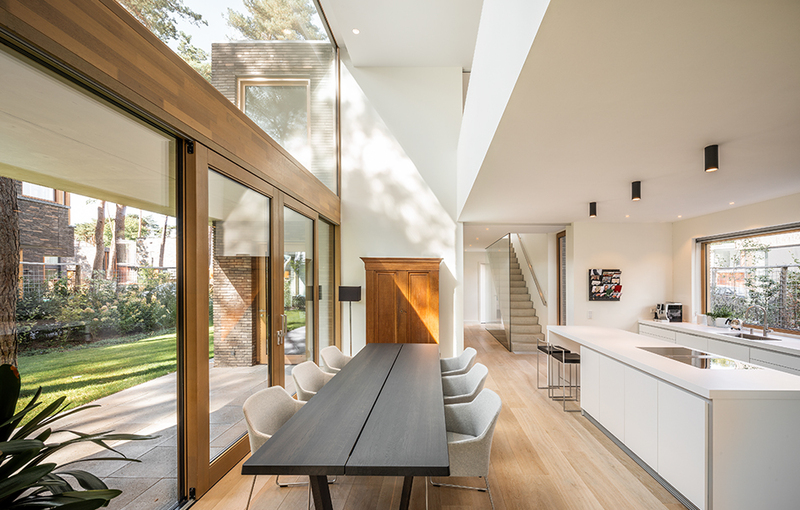 In some places, the floor to floor openings and sliding doors make the woods feel very close, while in other rooms carefully shaped windows frame specific perspectives. 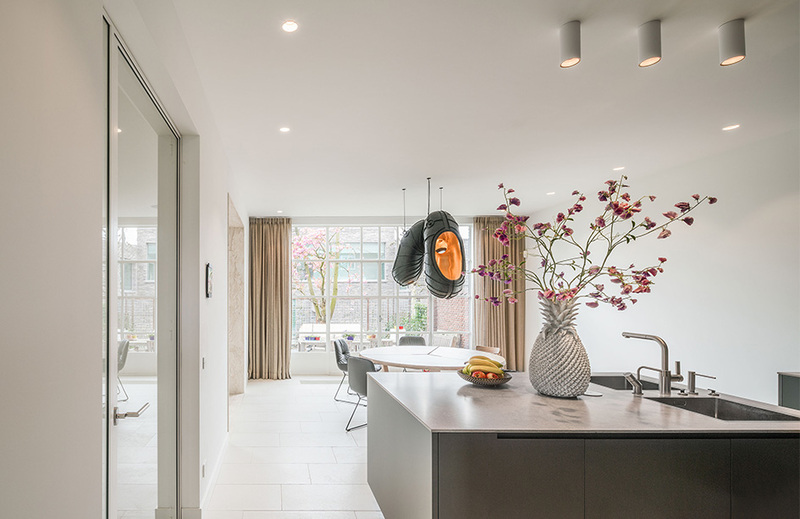 Throughout the house, sightlines in all directions ensure connections between the different spaces and with the surroundings. 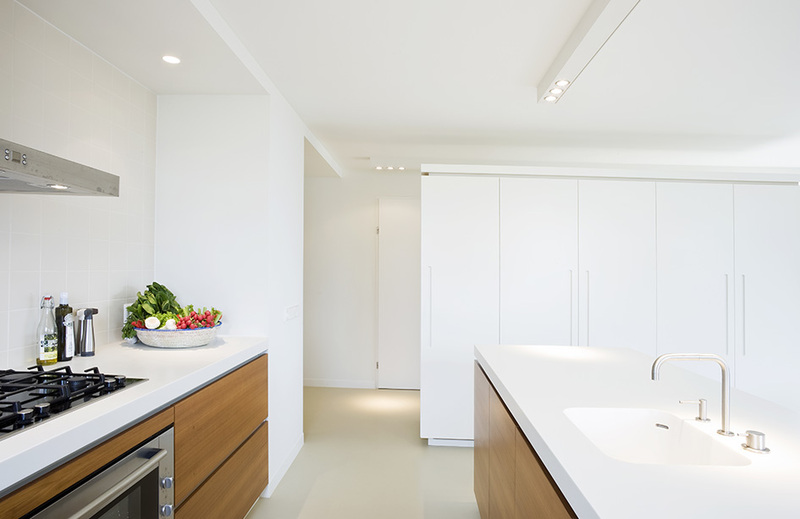 This culminates in the central dining kitchen, which HofmanDujardin shaped as the social heart for the family. 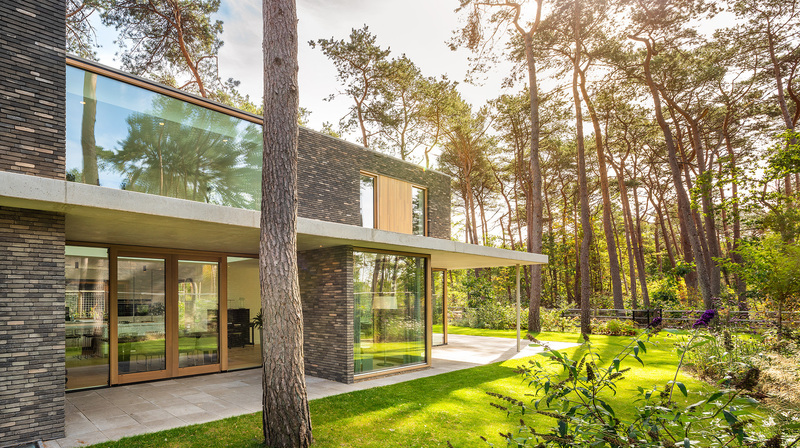 Here, a void along the façade opens towards the first floor, where a large window brings in plenty of daylight and frames the Dutch sky. 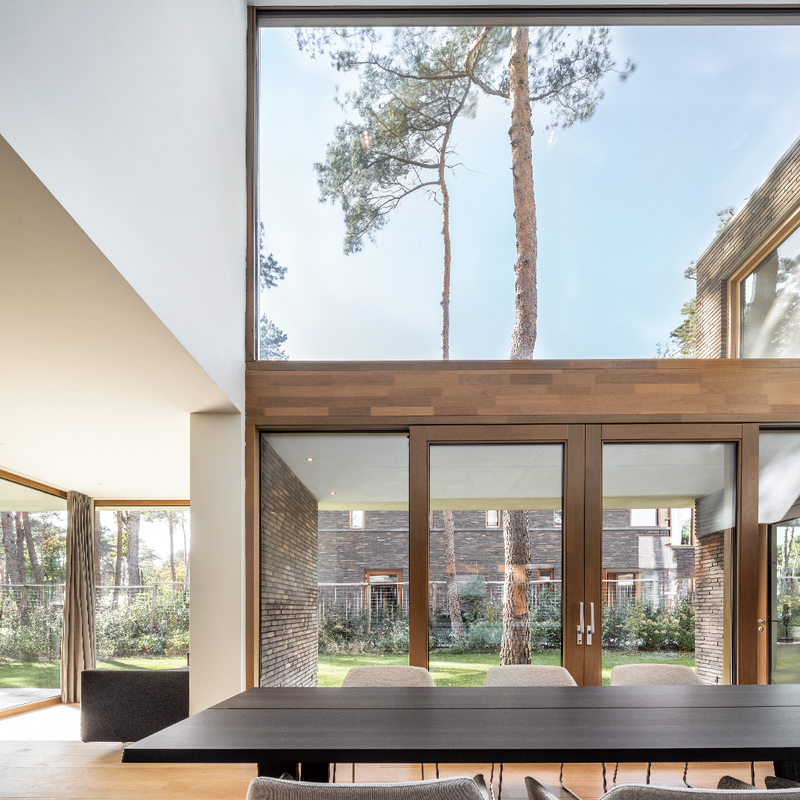 This view is complemented with the warm bricks and timber frames, which characterize the interior and make the villa ground in the woods.